Vismara doubles with two new models coming: the V 66 Cossutti and the V 68 Mills . Two race boats, one more cruise oriented and the other decidedly race, for owners who don’t want to go unnoticed. Double news from Vismara shipyard, two new boats are coming to expand the range of super custom. Two models once again with a sporting soul, one more oriented to the cruise, the other decidedly race oriented. 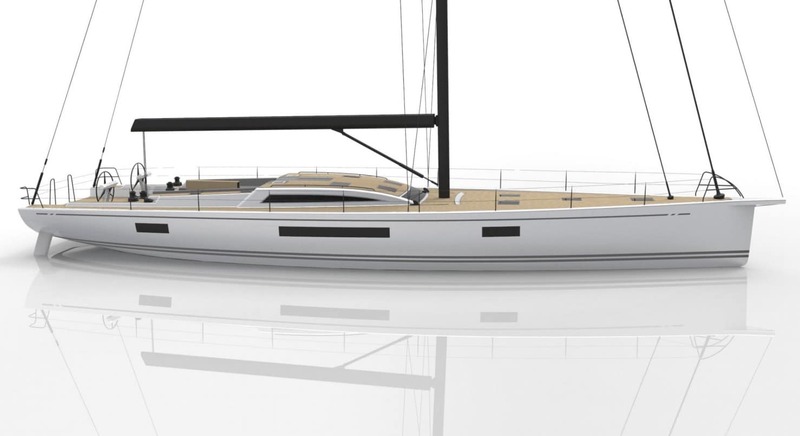 Two of the most popular studios at the moment, the Cossutti Yacht Design and the Mills Design signs the projects. We are talking about the new V 66 Cossutti and V 68 Mills, two boats designed to amaze you. V 66 Cossutti is a fast cruiser designed for an experienced owner, who loves sea and fast cruising but in full comfort, who regularly sails with the family, but also wants to keep the possibility of sailing with a small crew. The project gives life to a modern boat but not extreme in the choices, soft in navigation and with comfortable wood interiors, yet fun in maneuvers and fast in performance, to be up to the owner’s skills. A project therefore advanced but classic, which will maintain its value intact over time. Once again Vismara Marine wanted to expand its design team to someones who, by history and skills, can contribute to do the best choices for this specific boat: the Cossutti Yacht Design Studio for naval architecture, and the architect Lucio Micheletti for the interiors.